Here’s a list of local beekeeping resources, including some bee book suggestions. I’ve been sending versions of this to new beekeepers for years. If you know of other beekeeping resources that aren’t listed here, please post to the online forums below. BOOKS: It’s important to have a basic “how-to-do-it” beekeeping book. There are many out there, but I have always liked Diana Sammataro’s “The Beekeeper’s Handbook.” There are several copies in the Whatcom County/Bellingham library system. However, I’ve just found an even better one, “The BBKA Guide to Beekeeping, 2nd Edition.” BBKA? That’s The British Beekeepers Association. Highly recommended !!! 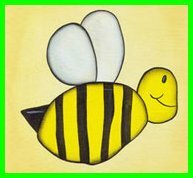 If you’re not in the bee-book buying mood, check out this great site for basic beekeeping information online. The Bellingham and Whatcom County Library System has a great collection of beekeeping books, so check there if you’d like to browse before buying. Of course, there’s a lot of information on the internet, but it’s very hard for a new beekeeper to sift the good stuff out from the questionable. BEE CLUB: Check out the Mt. Baker Beekeepers Association (MBBA) website for lots of useful information, links and notices. MBBA meets every third Wednesday of the month. Meetings are held at Gateway Centre Executive Suites, 1313 E. Maple Street in “The Rainier Seminar Room,” 3rd Floor. Meetings are open to anyone interested in beekeeping though you’re encouraged to join. CLASSES: “Successful Beekeeping in Whatcom County with Michael Jaross” is a comprehensive course for new beekeepers. The 8-week series starts early March 2019. Tuesday Evenings: 6:30 pm – 8:30 pm. Tuition: $195 Location: Chuckanut Center. Hands-on Beekeeping Courses at Dancing Bee Apiary in Abbottsford, BC just 5 minutes from the Lynden border crossing. Expertly taught by Shelley Armstrong, commercial beekeeper and equipment supplier. Several Whatcom County beekeepers have taken Shelley’s classes and speak glowingly of their learning experiences . Online Course! Janet Wilson’s peerless “Begin at the Beginning” course is an essential tool for all beekeepers in Whatcom County and nearby areas. EQUIPMENT: A good place for new beekeepers to start learning about equipment is a visit to a Local Beekeeping Equipment Supplier. Unfortunately our only full-service local supplier, Belleville Honey Co. in Burlington, (360) 757-1073, has quit the supply business. They are still a source for Package Bees in spring, so call early to reserve bees! There are many good online suppliers. Two of the largest are Mann Lake and Dadant. It can be very instructive to look through bee supply catalogs just to see what beekeeping tools and equipment look like. Both these suppliers have large online catalogs and they will gleefully send you their paper catalogs, too. PRIVATE CONSULTING: My own consulting service for hobby beekeepers, Whatcom Bee Help, offers custom assistance and individualized instruction at your own hives. I can help you with Getting Started, Hive Inspections, Vacation Care for Your Hives and many other apiary services. Keep your bees alive and productive with Whatcom Bee Help.